Tucson Donates to JR WPH! Tucson, AZ, WPH Press, 6/7/17- The World Players of Handball Foundation, a 501(c)3 Non Profit, would like to thank The Tucson Handball Community, led by the commissioner, Scott Cleveland, for their second consecutive substantial cash donation to Junior WPH (and it’s initiatives), this past month, when Tucson Handball League-Night raised over $2,500 in cash with the Draw the Joker contest. As for the fundraising campaign, that too was pioneered by Scott Cleveland and Jeff Healam; creating weekly interest and excitement for all of the participants; while, generating funds for JR WPH to thrive in Tucson and beyond. 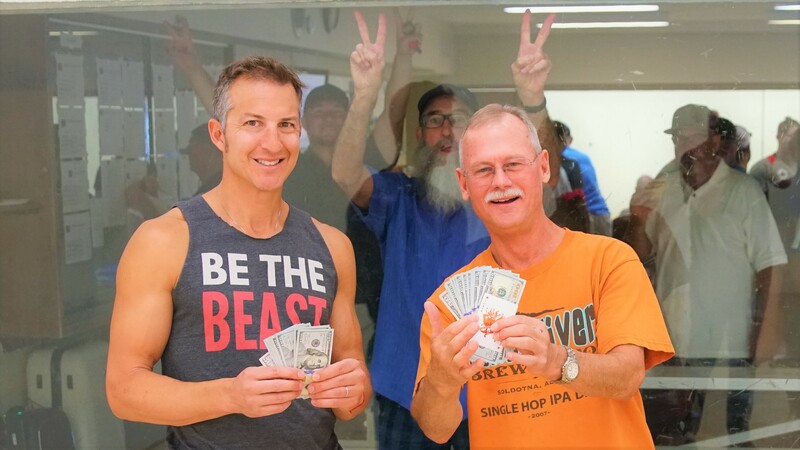 TRC handball league staple, Steve Hamrick, pulled the Joker last month after more than two months of drawings (…and financial participation from the whole handball community), scooping a pot of $2500 and donating half to JR WPH in the process (pictured alongside Scott Cleveland). 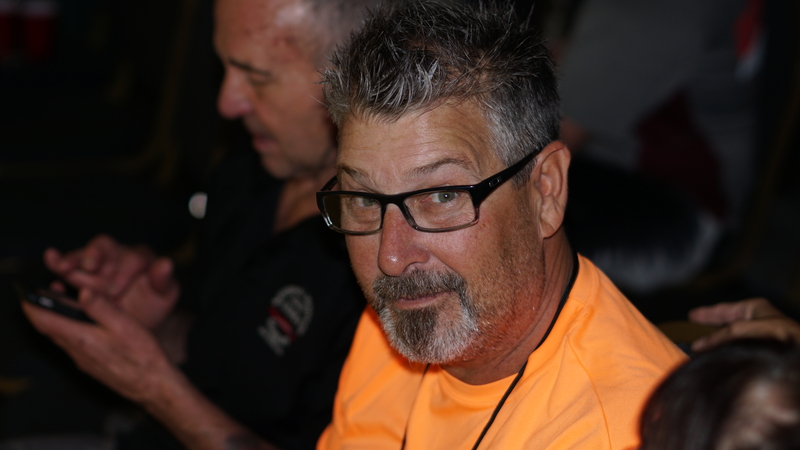 Last May (’16), Jim Verhaeghe drew a whopping $2,636 when he nabbed the joker; then donated his half-winnings of $1,318 to Junior WPH. 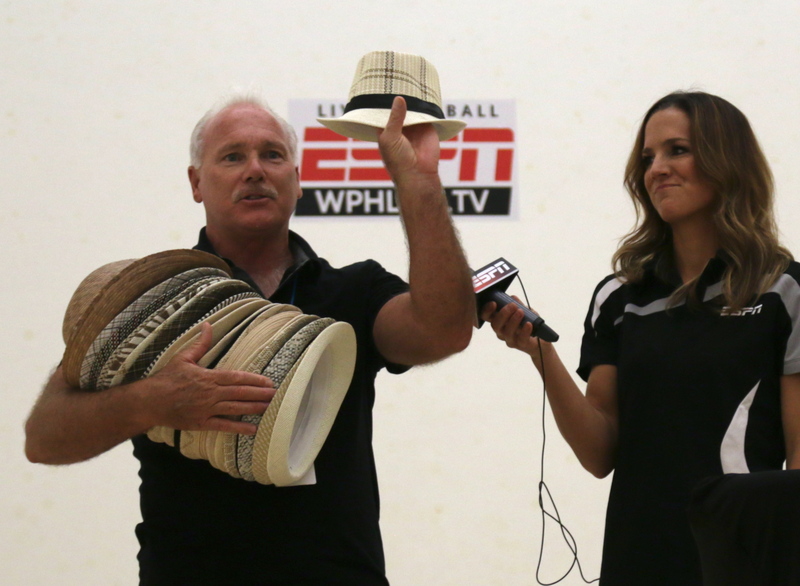 Jim, a longtime racquetball player (45+ years), made the transition to handball after watching the game after his Racquetball workouts; then took a chance and bought a pitcher of beer one night and the rest was history, “Someone gave me gloves and some one else gave me inside liners and told me to start with the big ball and move up. Well, six years later, I am in the greatest league any one could play in. I sometimes help Scott the commish [Long-haul] of the league, run it when he is not there.” Verhaeghe continues by pointing out that he still plays racquetball; plays handball three times a week; helps run local handball tournaments. “… Not bad for learning the game at 65.” Verhaeghe has been named Conflicted Jim [jokingly] by the Tucson Handball Bunch, for his crossover play between racquetball and handball and has become a staple in the clubhouse. Conflicted Jim’s legend of clubhouse league-night attendee grew from Staple to big-time-winner last May when he drew the joker, then purchased a round of beers for everyone in the building. “The Draw the Joker game was the brainchild of Shutter-boy [Jeff Healam],” adds Scott Cleveland. 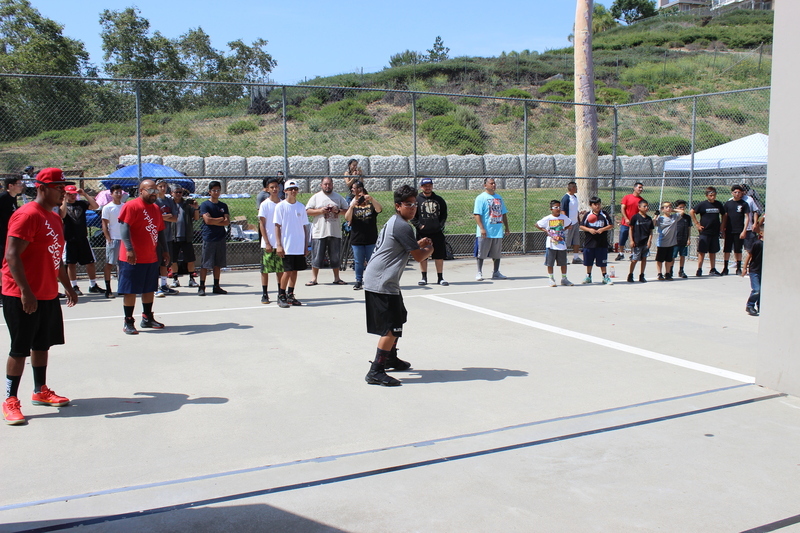 “We introduced it to our Tuesday league night two years ago and it has been a great success. Both Jim and Steve have enjoyed winning pots of over $2,500.00 apiece and the best part is …half of the pot splits with JR WPH! The Joker drawing to benefit junior handball is a great way to create excitement on weekly handball nights and can be held in any city in which handball in played. For more information on how to hold a Joker drawing to benefit junior handball, contact WPH Development Director at fink@race4eight.com or email the WPH at info@wphlive.tv and they will put you in touch with Mr Cleveland, Jeff Healam, et al.